The huge growth of the offshore finance industry, highlighted by the Paradise Papers leak, was the unforeseen result of an "accounting device" created by Britain, writes the BBC's Andrew Verity.Here's the received wisdom: when the British Empire faded in size and significance after World War Two, a few scattered islands around the globe wanted to keep their imperial ties to London. The British government had to find a way to reduce the economic dependence of the likes of Bermuda, Montserrat or the British Virgin Islands, so it awarded them special tax-exempt status, creating the conditions for a thriving financial services industry. Yes, tax evasion and money laundering may have got a little out of hand from time to time, but overall it succeeded in lifting them out of dependence on the UK government. But there's a deeper story. It wasn't by design that the remnants of a dying British Empire morphed into a world leader in offshore financial services, selling secrecy and tax avoidance to multi-nationals and the wealthiest individuals in the world. Instead, the crucial moment was more of an accident - which gave rise to advantages no-one had foreseen.And it began not in Bermuda or Jersey but in another offshore centre - "offshore" not to the UK, but to the US - the City of London. When the 20th Century began, income tax was in single digits and progressive taxation - charging richer people a higher rate - had barely begun. In the run-up to World War One, chancellors of the exchequer - from Asquith to Lloyd George - began raising taxes to pay for social reforms, such as the old age pension. As the war progressed, the state demanded more and more income tax from every citizen and higher rates for the wealthy, leading to a top rate of 30% by 1919.Accountants to wealthy individuals began to devise ways to avoid tax. Clients could become resident in Jersey, where tax rates were far lighter. Or, if they wanted to stay in London, they might put their money in a trust registered elsewhere, perhaps on the Isle of Man, where in theory it was no longer theirs - and therefore not visible to the prying eyes of an Inland Revenue inspector. But it was in the dying days of the Empire that the offshore financial services industry truly boomed. Defined by purpose rather than geography, "offshore" means any jurisdiction that seeks to attract investors on the basis of light taxes and looser regulations. On that basis, the epicentre of the offshore industry is not Nassau in the Bahamas or George Town in the Cayman Islands. As author Nick Shaxson points out in his fascinating offshore expose, Treasure Islands: "The modern offshore system did not start its explosive growth on scandal-tainted and palm-fringed islands in the Caribbean, or in the Alpine foothills of Zurich. It all began in London, as Britain's formal Empire gave way to something more subtle." In 1957, Britain and its imperial remains were trying to recover from a financial crisis. The previous year the UK had joined forces with France and Israel to try to recapture the Suez Canal after it was nationalised by the defiant anti-colonial Egyptian President, Gamal Abdel Nasser. Viewing the invasion as European imperialism at its worst, the US refused any assistance. By the end of 1956, a run on the pound was under way. The Bank of England wanted to curb the outflow of pounds by boosting interest rates sharply, but Her Majesty's Treasury had other ideas.Since the Bretton Woods economic conference of 1944 towards the end of World War Two, countries had agreed to control movements of capital to curb the speculative flows into and out of countries that had worsened the economic crises of the past. If, say, Tate & Lyle wanted to invest several million pounds in a new sugar production facility in Jamaica, it would need signed approval from Her Majesty's Treasury. Normally this was a formality. But during the Suez crisis, the Treasury announced that, on a temporary basis, it would no longer approve foreign capital investments. "The decision was momentous in all respects," says one of the leading experts in offshore finance, Prof Ronen Palan of City, University of London. "They simply deemed certain transactions as not taking place in the UK. Where did the transactions take place for regulatory purposes? Nowhere. "I think it wasn't at all by design; it was a mistake. They didn't understand the implications. It was seen as an accounting device. "The so-called "Eurodollar" was born - a global offshore financial market, transacting in dollars and allowing unlimited sums to be borrowed and lent, but under the control of no single state. No act of Parliament (or Congress) sanctioned the decision. There was no thoughtful policy-making, no careful debate. The Treasury was at first left in the dark. But within years the implications were obvious - this could revive the City of London's fortunes. "By the time the Treasury figured it out, they thought, 'this is good business for the City'," said Prof Palan.Banks from all around the world could borrow and lend in dollars without being subject to US tax or banking regulations - making banking in dollars more profitable out of London than out of Wall Street. Offshore banks didn't have to hold money in reserve for every dollar they lent (as they would in the US), which would dramatically cut their costs. While transactions were arranged in London, the lenders and borrowers could be registered anywhere. But the parties to Eurodollar transactions needed addresses.So, zero-tax jurisdictions from the Cayman Islands to the Montserrat were used by London's investment banks as the official tax residences of their wealthy customers. Clients could avoid both tax and undesirable scrutiny - for example from the US tax authorities. In the British Overseas Territories, local laws were passed to attract more registration business, collecting modest fees that mounted up. No need for a bank branch out there - just a drawer in an offshore lawyer's filing cabinet. Howls of protest from the US government were ignored. Between 1960 and 1970, the size of the Eurodollar market went from $1bn to $46bn. In the 1970s, countries rich in petrodollars from soaring oil prices were faced with a dilemma: repatriate the money to New York - where they would be taxed on it - or keep it offshore.By 1980, the so-called Eurodollar market was worth more than half a trillion. 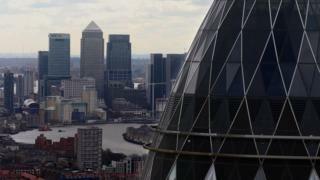 After the deregulation of the City of London in the 1986 "Big Bang", US banks joined in, setting up in London. And as the 1990s and 2000s progressed, it became the undisputed global centre for foreign currency trading. Banks' wealthy individual and corporate clients didn't incorporate in the Cayman Islands or the British Virgin Islands because they liked the weather there - many never visited. Offshore centres were attractive to businesses looking to reduce their tax bill, but sometimes, more importantly, to avoid what they regarded as excessive regulation. Cayman Islands-registered companies were used heavily, for example, by the energy giant Enron as it built its business model based on fraudulent accounts. Tax-free, light regulation jurisdictions, including the Bahamas, the Cayman Islands and Delaware in the US, became the corporate locations of choice for legitimate hedge funds. They were also used to incorporate the vehicles at the heart of the global financial crisis - the 'structured investment vehicles' that did not show up on bank's balance sheets and bought billions of mortgage-backed securities, massively increasing the unnoticed risks in the global financial system which led to the crisis of 2008. Likewise, the British Virgin Islands has been used by many legitimate businesses. It has also become the favourite secrecy jurisdiction for clients of the Panama-based law firm exposed in last year's Panama Papers revelations, Mossack Fonseca. Who is in control of Everton? Since those revelations, governments around the world have pledged to improve transparency with measures such as automatic information sharing and registers of beneficial owners of offshore companies. Many of those measures are yet to be enacted or tested. But as the Paradise Papers are now confirming, the secrets of Britain's offshore empire are no longer quite so safe.